I guess this happened back in December, but I just learned about it today. Oily Comics is publishing digitally via Comixology. The excellent Snake Oil #8 was already available on their site (just $0.99! 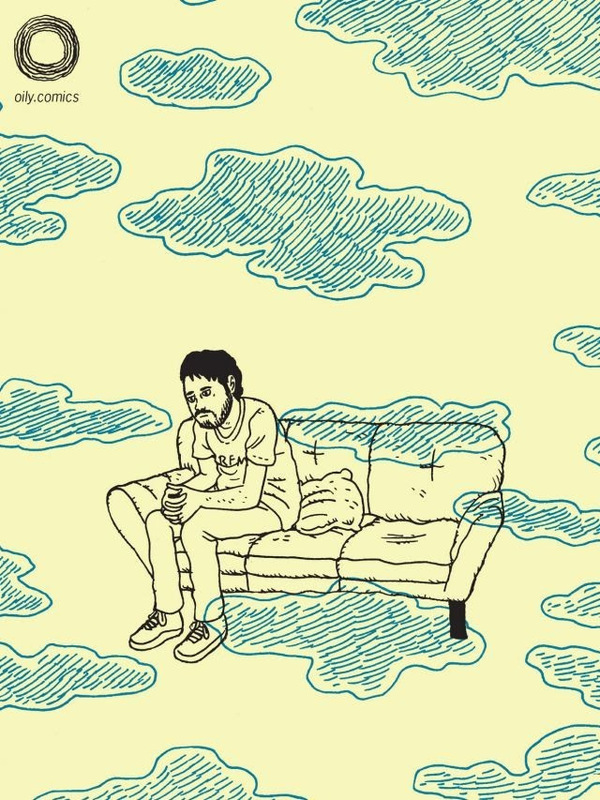 ), and Noah Van Sciver’s The Lizard Laughed was just released. Personally, I have no love for digital comics. The comics I love best are made by hand out of paper. I think books are precious objects, and, as a book lover, I’m seeking that preciousness. But hey, that’s just me. Digital comics serve a purpose and I’m glad Comixology is making material (especially material like this, published independently in small editions) available to their customers. And, as an archivist of sorts, I recognize the value of having limited edition comics preserved in a form that’s widely accessible. Fun Fact: I learned from Chuck’s Comixology page that his middle name is Sanford. This entry was posted in Uncategorized and tagged Chuck Forsman, Comixology, Noah Van Sciver, Oily. Bookmark the permalink.